Refined Soybean Oil finds extensive usage in both residential and commercial sectors. It is used for preparing different varieties of cuisines. We are counted among the top Exporters and Suppliers of Refined Soybean from Thailand. Our Refined Soybean Cooking Oil is extracted from 100% pure and fresh soya seeds at our vendor’s end. Soya Bean Refined Oil is gaining high popularity among buyers due to its high nutritional value. It is provided in diverse packaging quantities. When you buy from us, you can rest assured that you are getting 100% Pure Refined Soybean Oil, as we are listed among the top Refined Soybean Oil Exporters and Soybean Refined Oil Suppliers in the market. 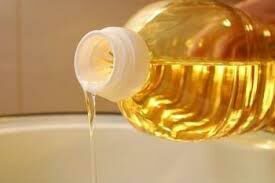 We offer Fresh Refined Soybean Oil at competitive prices. For best quality Soybean Refined Oil, contact us at the earliest.